In a situation that seems sure to vex the Kremlin, the separatist entity of Transnistria is growing trade-dependent on EU-oriented Moldova. Transnistria – a strip of land straddling the Dniester River and the Ukrainian border – broke free from Moldova with Moscow’s help in the early 1990s, amid the collapse of the Soviet Union. Transnistrian leaders adamantly reject Moldova’s political authority. But they seem willing to listen when money speaks, and do not seem shy about taking advantage of Moldova’s connections to the European Union. Under the Association Agreement signed between Moldova and the EU in 2014, Transnistria, which the international community sees as part of Moldova, also received the right to tariff-free exports to the EU, so long as its exporters meet sanitary and labeling rules, along with other requirements. Although the agreement expired this January, the EU appears to have allowed it to continue. The official reason is unknown, but the strategy is plain – use the attractions of duty-free exports to the EU to revive the ties between the Moldovan government in Chișinău and Transnistria, a predominantly Russian-speaking region. So far, there are no indications that Transnistria is considering a return to the Moldovan fold. But its exports to the EU now dwarf those to the Eurasian Economic Union (EEU). Russia, the long-time financial sponsor of Transnistria’s de facto government, Kazakhstan, Kyrgyzstan, Belarus and Armenia comprise the EEU. In the first three months of 2016, 58 percent of the region’s reported $49 million in exports made it to the EU, and only 6 percent to the EEU, Transnistria’s de facto State Customs Committee reported. Overall, according the breakaway territory’s economic ministry, 27 percent of Transnistria’s supposed $189 million in exports in 2015 went to the EU, while shipments to Russia declined by nearly seven percentage points to 7.7 percent. According to the region’s Chamber of Commerce and Industry, exporters to the EU rank among Transnistria’s largest taxpayers. Shipments reportedly include clothing, shoes, textiles and metal. Russian imports still dominate in Transnistria, but there is no indication that the breakaway region’s export trend will start tilting back in Moscow’s direction anytime soon. Battered by lower oil prices and international sanctions for its behavior in Ukraine, Russia has seen a 10 percent drop in gross domestic income over the past year, the World Bank reported in April. Its ability to provide budget support for Transnistria, or the region’s breakaway cousins of Abkhazia and South Ossetia in Georgia, has long been in question. “The Association Agreement with the EU has provided new opportunities for businessmen from Transnistria, and for the region’s economy,” said analyst Iulian Groza from Chișinău’s Institute for Reform and European Policy, a pro-EU think-tank. Forty-nine-year-old Italian businessman Roberto Guardigli is among those taking advantage of the new openings. Attracted by the region’s fertile soil, favorable climate and undeveloped market, Guardigli in 2008 set up an agricultural company, Lander Agroprim, with 120 employees in the southern Transnistrian town of Dubăsari. Today, Lander Agroprim exports 80 percent of its sunflower, barley, wheat, flax and corn crops to EU members Italy, Poland, Romania and Bulgaria. Guardigli wants to encourage that trend. “I want to do more investments, to build more warehouses for agricultural machinery,” he said. Moldova’s tolerance of such investments differs sharply from the policies of Georgia or Azerbaijan toward foreign investments in their own breakaway regions. Russia-backed Abkhazia and South Ossetia both view Tbilisi’s own trade deal with the EU as suspect, while Azerbaijan bars any travel to (much less investment in) Nagorno-Karabakh that does not occur with Baku’s blessing. 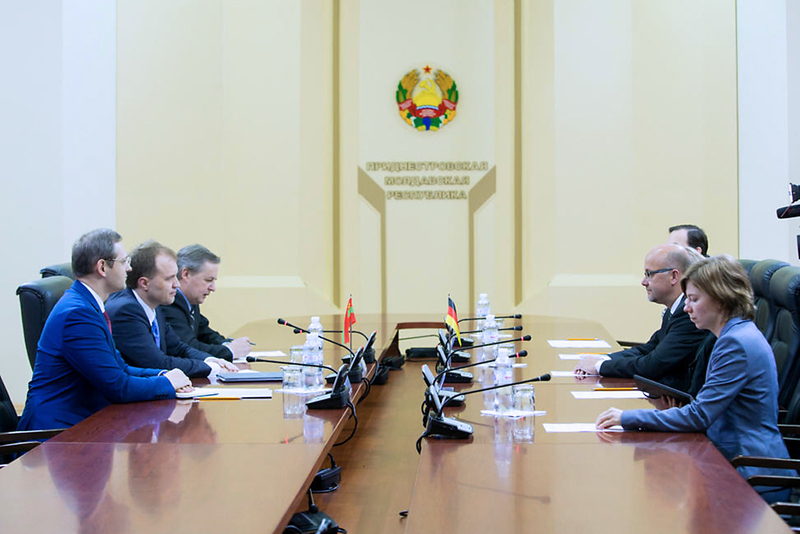 Transnistria-based companies that want to export to the EU face certain requirements that serve Chișinău’s interests. They must be registered in the Moldovan capital and allow Moldovan customs officials to review their wares. So far, Transnistria’s de facto officials usually, though not always, look the other way. “If [de facto government] representatives from Tiraspol will not cooperate with Chișinău, local companies will have difficulties in accessing the European market,” Lupuşor added. With peace talks between Transnistria and Chișinău still suspended, everyday business interaction plays a role beyond trade. Analysts and de facto officials in Transnistria would not comment about trade arrangements with the EU. The EU delegation to Moldova did not respond to a request to assess its policy toward the breakaway region. The trade allowances for Transnistria do not work all in one direction. Last December, Chamber of Commerce and Industry of Transnistria President Yuri Ganin told local reporters that Brussels had “assumed certain obligations to ensure that the institutions of Moldova will not impede our exports and imports” to the EU.